Butterfly Reflections, Ink. : May All Your Wishes Come True! 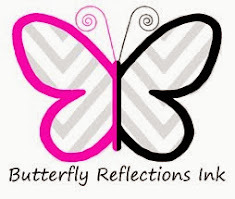 Hi, Butterfly Ink-ers! 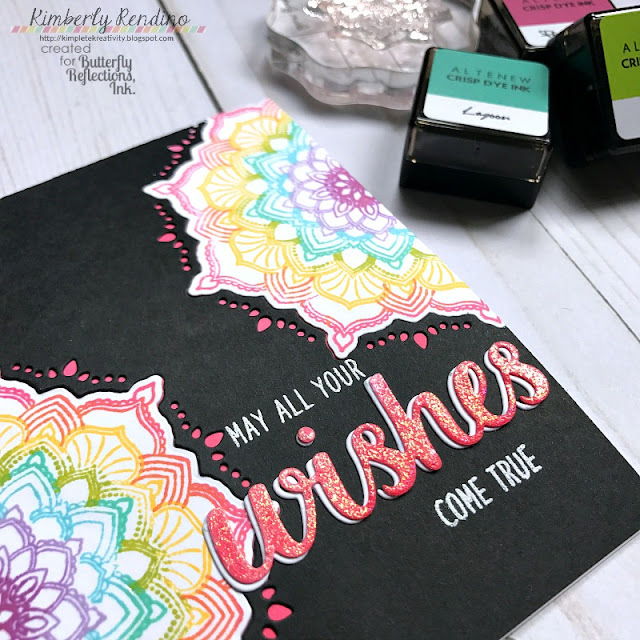 Kimberly here today, and I'm so happy to be back this month with a colorful card featuring products from Concord & 9th, Sunny Studio & Altenew! I started by stamping a mandala with multiple colors of Altenew inks - for each ring, I used two colors of ink. I die cut the finished mandala and then cut it in half and set them aside. I die cut the largest mandala into a piece of black cardstock twice so I could get the beautiful edge detail. To get the color to peek through those detailed holes, I inked my card base with Coral Berry ink to perfectly match the stamped mandala. I added the die cut black cardstock to the inked card base and adhered the dies into the negative space. The sentiment was stamped with Versamark and heat embossed with white embossing powder. Again, to perfectly match the card, I used the Coral Berry ink direct to paper and then added some iridescent embossing powder and heat set it. I die cut the Wishes sentiment from the embossed paper and added a drop shadow by die cutting another sentiment and offsetting it just a bit. I love how colorful this card is - and that it could be used as a birthday card or even a wedding card! Such a versatile sentiment! Thanks for joining me today - until next time, friends! !